Whether you’re hosting a party or just keeping it low-key with friends on St. Patrick’s Day, if you’re looking to serve fun and festive drinks, these green cocktail recipes are an essential alternative to the green bear staple that graces menus all over. This year, the Leprechaun-inspired drinks will not only be photogenic, but your taste buds will be way happier. This green take on a Bloody Mary tastes even better than the original. With Mexican and Southern twinges of green tomato and tomatillo, you get a lovely Verde Mary. For those who are opting out of whiskey cocktails this time around, this flavorful vodka alternative will ensure you’re not left out. 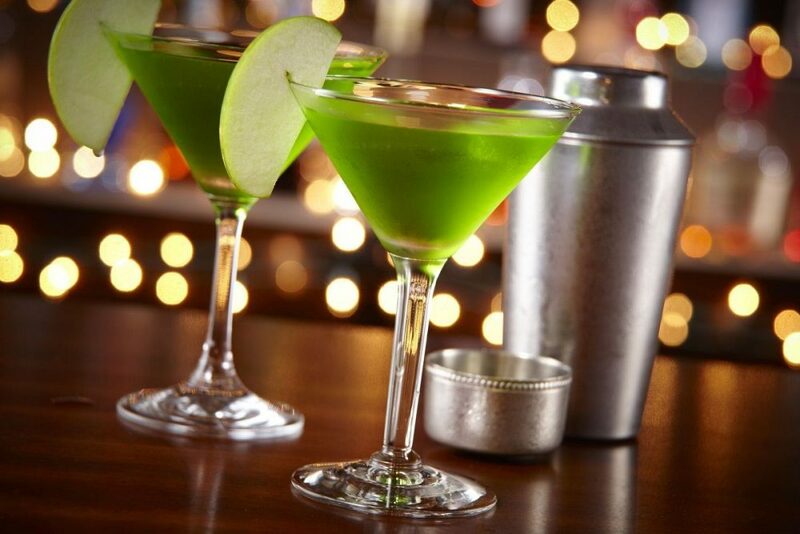 There’s always a die-hard Appletini fan out there, but this rendition has a crisp and zesty twist: fresh ginger. We’re sure all the martini snobs will have something to say about this, but you can’t deny how refreshing this fruity drink is, courtesy of actual fruit instead of a saccharine artificially-flavored alcohol. Is your squad’s St Patrick’s Day game elevated above traditional cocktails or do you just have a ridiculous sweet tooth? Then these Shamrock pudding shots will be the life of the party. The pudding is pistachio-flavored and the spike comes from a mix of Baileys and Jameson. Their presentation (topped with a vanilla wafer) is Instagram-worthy, and they’re surprisingly easy to make. 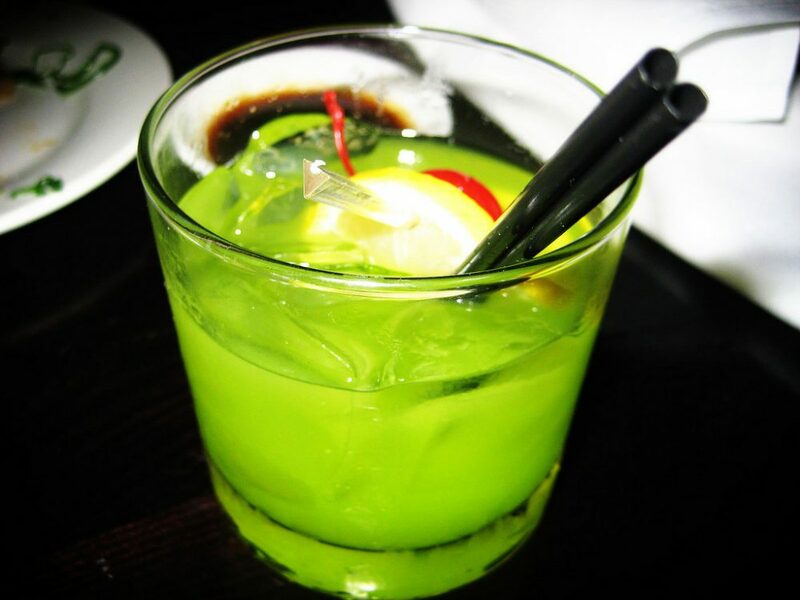 The midori sour has been around for years – it’s a bright-tasting, fizzy, maraschino-topped neon drink that’s easy to slurp down and can be tailored for any occasion. But we’re super into that absinthe glow for St. Paddy’s Day, so add a pitcher of this dynamic lemon-lime cocktail to your festivities. 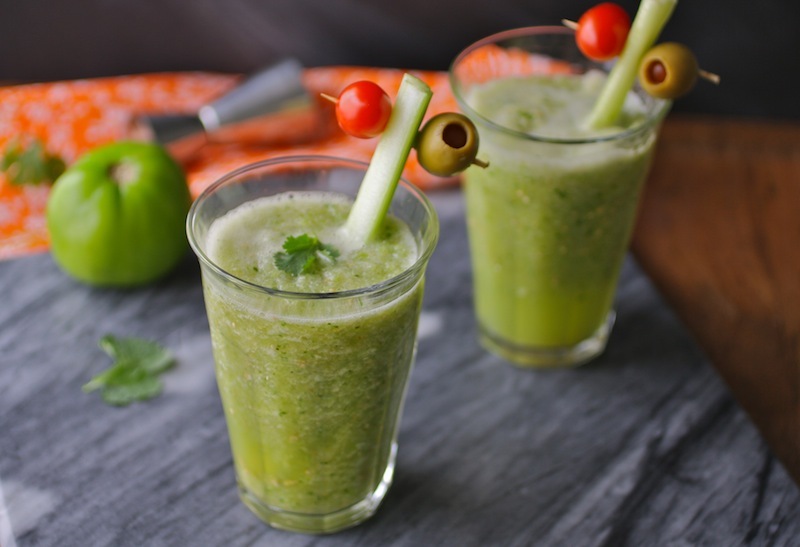 The mysterious boozy green elixir is filled with nutritional powerhouses, along with a healthy dose of alcohol! This drink is filled with green detox ingredients like cucumber, lemongrass and mint, and of course topped off with some gin. This elegant drink goes down easy, but thanks to those cleansing ingredients, your hangover won’t be nearly as rough. It’s hard to say no to a margarita in any context, and this shiny, emerald green remix rimmed with gold sugar crystal is no exception. That witch’s brew hue is due to the addition of curacao and schnapps, and the same fruity notes used in the Fuzzy Leprechaun, but with tequila instead of vodka, and of course shaved ice topped with a lime. This drink is more well-balanced, due to the addition of Aperol. 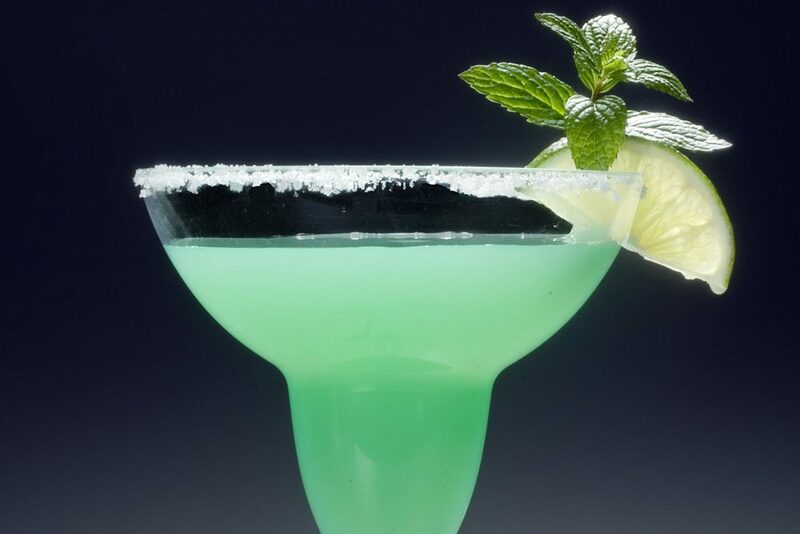 The color of this drink combines the blue-green hue of a tropical vacation with your traditional St. Patrick’s Day green. What better way to celebrate a holiday that’s the beginning of spring with the taste of beachy summer days? Filled with peach schnapps, blue curacao, tropical juices and vodka, this is not for the faint of heart who are trying to avoid sugary cocktails. 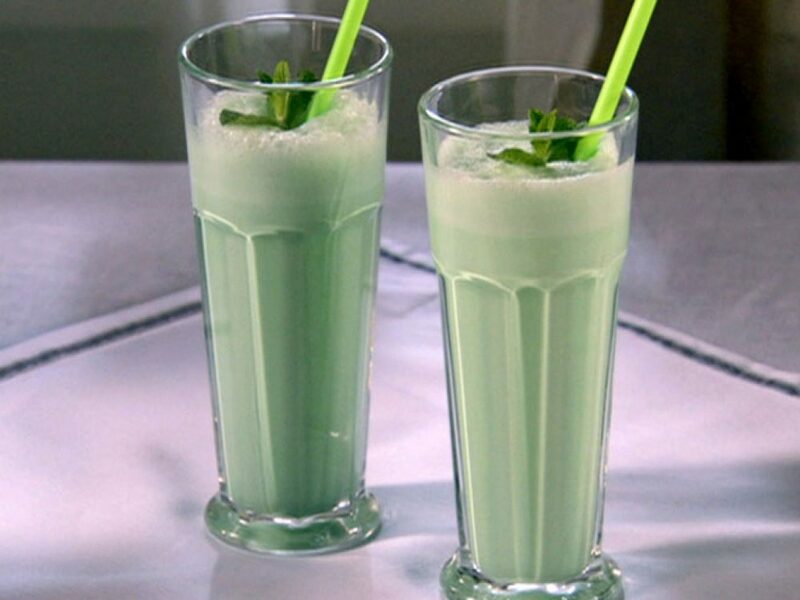 A boozy twist on the Shamrock Shake, this creamy mint chocolate chip-flavored cocktail mixes crème de menthe and crème de cacao with massive amounts of vanilla ice cream for those with a sweet tooth on St. Paddy’s Day. The level of green can be adjusted by how generous you are with that crème de menthe. This tastes like a decadent and creamy boozy milkshake, but you’d never guess that that the texture is thanks to avocado! This rum-based cocktail has a sumptuous mouth feel thanks to good ol’ avocado, almond milk and a topping of coconut whipped cream. Another future headache-saver, and it will fill you up as much as massive dollop of guacamole. We know some people that swear by sangria and stay inside the wine family when it comes to drinking. So, this delicate sangria cocktail is dedicated to them! The green comes more from chunks of apples and pears, as the apple-flavored vodka and grape juice used isn’t exactly green. But you can always add a natural dye like spinach if you want to get more into the St. Patrick’s Day spirit with this crunch-garnished cocktail.